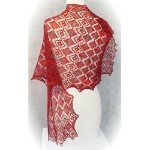 Alpine Lace is a worsted weight silk and mohair boucle. 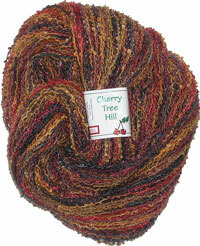 Each 8 oz hank has over 400 yards and the content is 54% mohair, 23% silk, and 18% wool with a nylon binder. 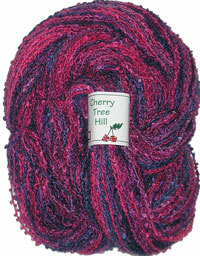 This yarn is commonly used for shrugs and shawls, sweaters and cardigans or any luxury project that needs a little bounce and shine. 12 stitches and 14 rows = 4 in stockinette stitch with size 15 needles. 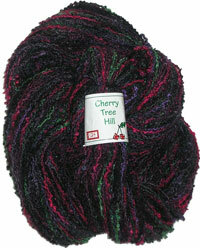 This is handpainted yarn and should be hand washed in cool water or dry cleaned. Lay flat to dry. Please note that, due to variations in computer monitors, colors may not be exactly as shown. 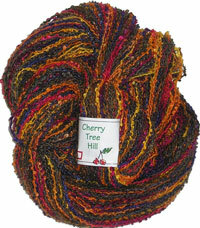 Cherry Tree Hill does their best to maintain consistency but dye lots may vary.